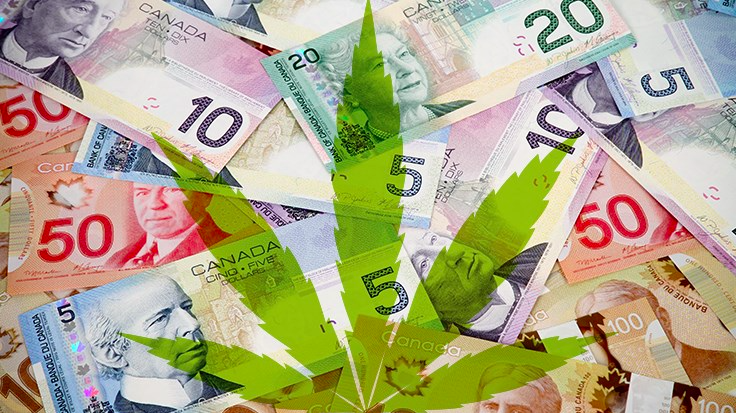 Regulation and taxation of the cannabis industry will give provincial and the federal governments a high degree of control over the legal price cannabis products. The ideal pricing policy will depend in large part on consumers’ preference for products available in the legal and illicit markets. It is highly unlikely that consumers will view these products as perfect substitutes, simply purchasing the cheaper option. Some consumers will undoubtedly prefer to purchase from the legal market over the illicit one and will happily pay a premium to do so. This “legal premium” thinking unpins the decision of provincial and federal finance ministers to target a legal cannabis price point of $10 per gram. Other consumers, owing to anti-government sentiment, anti-corporate sentiment, age, or demand for specific varieties, will have a preference for products offered in the illicit market. These consumers will pay extra to avoid legal cannabis retailers. As a result of these competing premiums, the optimal legal price of cannabis is not immediately obvious. We explore the implications of different distributions of consumer preferences for legal and illicit cannabis on optimal legal pricing using a standard utility model. Consumption of cannabis, no matter where it is purchased, imposes costs on society; these costs include the costs of impairment, mental health and addiction, and law enforcement. Therefore, in addition to diverse consumer preferences we assume different costs to non-users of cannabis (externalities) purchased in the legal and illicit markets, with the costs to non-users being greater for cannabis purchased in the illicit market. 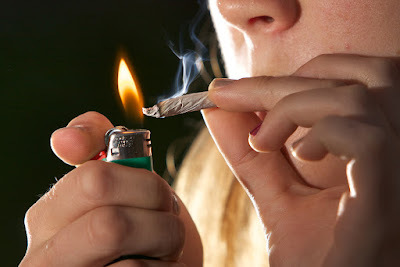 The greater non-user costs of cannabis purchased in the illicit market mean that the socially optimal price of legal cannabis is lower than that of cannabis sold in the illicit market; even when consumers moderately prefer cannabis offered for sale on the legal market. This finding has serious policy implications. Governments should be pursuing a policy of reducing the legal market price of cannabis. The current federal policy of taxing cannabis at $1 per gram (up to a unit price of $10/gram) will raise prices in the legal market and further support the continued existence of the illicit market along with all of the associated non-user costs. This error is compounded in many jurisdictions by provincial and local licensing fees, taxes, and regulations all of which will raise the cost of cannabis sold in the legal market above its socially optimal level. Dr. Jason Childs trained as an experimental economist at McMaster University. His research interests have expanded to include a wide variety of economic behaviours and their relationship to government policy. This lead him to explore government policy with respect to alcohol and the privatization of alcohol retailing in Saskatchewan and the economic determinants of alcohol demand in Canada. In collaboration with two colleagues at the University of Regina, he pioneered teaching the economics of beer in Canada. Most recently, he was a major contributor to a major policy project on the legalization and regulation of recreational cannabis in Saskatchewan and nationally. Continue the discussion in person. 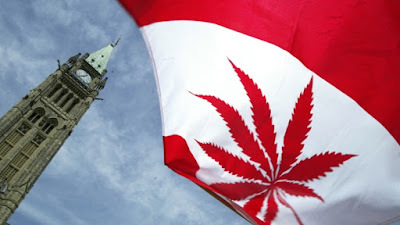 In Canada, the new federal legislation that establishes the legalization of cannabis for non-medical use, the Cannabis Act, places a strong focus on public health and safety. Under the federal act, the provinces and territories have authority to tailor certain regulatory features to create their own systems of cannabis production, distribution, sale, and consumption. This situation presents a unique opportunity to study different cannabis policy experiments as they unfold across the country. We have started to develop a formal record of cannabis policy conversations and plans in Canada, starting with an in-depth look at pre- and early-stage implementation of legalization in four large provinces – from east to west, Québec, Ontario, Alberta, and British Columbia. In the frenzy to legalize recreational cannabis in Canada, people can be forgiven for not understanding the legalization process. That's why we're hosting the Cannabis Pracademic Summit in Quebec City, August 22, 2018. In the meantime, here is a high-level primer. Cannabis Policy in Canada: diffusion or confusion? 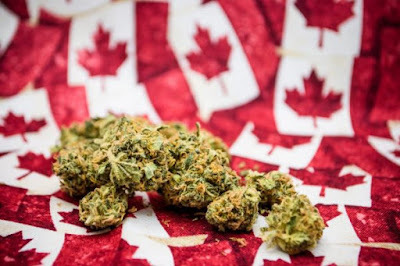 In June 2018, Canada’s Parliament officially passed legislation to legalize recreational cannabis use and possession. The federal framework provides legal direction to provincial legislatures to ensure provincial cannabis policies are harmonized to reflect national goals, while leaving some room for provincial discretion. Every province has drafted a corresponding legislative framework, and cannabis is set to become legal in October. This makes Canada a living laboratory to examine the phenomenon of policy diffusion: when governments adopt policies that emulate those of other governments.